H. Le Capitaine. Constraint selection in metric learning. In Knowledge-Based Systems ; éd. Elsevier, 2018. C. Sinoquet. A method combining a random forest-based technique with the modeling of linkage disequilibrium through latent variables, to run multilocus genome-wide association studies. In BMC Bioinformatics ; éd. BioMed Central, 2018, vol. 19, num. 1. E. Menou, I. Toda-Caraballo, P. Rivera-Díaz-del-Castillo, C. Pineau, E. Bertrand, G. Ramstein, F. Tancret. Evolutionary design of strong and stable high entropy alloys using multi-objective optimisation based on physical models, statistics and thermodynamics. In Materials and Design ; éd. Elsevier, 2018, vol. 143. C. Niel, C. Sinoquet, C. Dina, G. Rocheleau. SMMB – A stochastic Markov-blanket frame-work strategy for epistasis detection in GWAS. In Bioinformatics ; éd. Oxford University Press (OUP), 2018, vol. 34, num. 16. R. Carrillo, Y. Prié, L. Guillaume, E. Lavoué. Suivre l’engagement des apprenants dans l’activité de construction de cartes mentales. In Sciences et Technologies de l'Information et de la Communication pour l'Éducation et la Formation ; éd. ATIEF, 2018, vol. 25, num. 1. L. van der Gaag, P. Leray. Qualitative probabilistic relational models. In The 12th International Conference on Scalable Uncertainty Management (SUM 2018), 2018, Milano, Italie. M. El Abri, P. Leray, N. Essoussi. DAPER joint learning from partially structured Graph Databases. In Third annual International Conference on Digital Economy (ICDEc 2018), 2018, Brest, France. R. Rincé, R. Kervarc, P. Leray. Complex event processing under uncertainty using Markov chains, constraints, and sampling. In 2nd International Joint Conference on Rules and Reasoning (RuleML+RR 2018), 2018, Luxembourg, Luxembourg. R. Affogbolo, C. Gauzente, A. Guénoche, P. Kuntz. Méta-analyse ordinale d'enquêtes d'opinion. Application aux usages de l'Internet des objets en entreprise. In 18ème Conférence Internationale sur l'Extraction et la Gestion des Connaissances, janvier 2018, Paris, France. C. Sinoquet, C. Niel. Enhancement of a stochastic Markov blanket framework with ant colony optimization, to uncover epistasis in genetic association studies.. In ESANN 2018 - 26th European Symposium on Artificial Neural Networks, Computational Intelligence and Machine Learning, avril 2018, Bruges, Belgique. C. Sinoquet, K. Mekhnacha. Combining latent tree modeling with a random forest-based approach, for genetic association studies. In 26th European Symposium on Artificial Neural Networks, Computational Intelligence and Machine Learning, ESANN2018, avril 2018, Bruges, Belgique. C. Jacquot, M. Jahjah. Interroger la matérialité numérique d’une œuvre hybride : l’énonciation éditoriale de Poreuse. In Colloque international ECRIDIL, avril 2018, Montréal, Canada. R. Affogbolo, C. Gauzente, P. Kuntz, A. Guénoche. Modèles d'affaires et internet des objets : une méta-analyse exploratoire des motivations et freins. In 23ème Colloque de l'AIM, mai 2018, Montréal, Canada. A. Fonnet, F. Melki, Y. Prié, F. Picarougne, G. Cliquet. Immersive Data Exploration and Analysis. In Student Interaction Design Research conference, mai 2018, Helsinki, Finlande. R. Chulyadyo, P. Leray. Using Probabilistic Relational Models to Generate Synthetic Spatial or Non-spatial Databases. In Research Challenges in Information Science (RCIS) 2018, 12th International Conference on, mai 2018, Nantes, France. T. Vigier, Y. Prié, F. Melki, M. Perreira, F. Picarougne, S. Bulteau, O. Charlet. New VR platform for the personalization of care in psychiatry: the example of ReViSTIM project. In Care TVX Workshop at ACM TVX 2018, juin 2018, Seoul, Corée du Sud. R. Affogbolo. Barrières à l'adoption de l'IoT : une analyse par le business model. In Congrès RRI - 8ème Forum Innovation, juin 2018, Nîmes, France. A. Issa, M. Harzallah, G. Berio, N. Béchet, A. Faour. A EXPR : A Combined Approach for Hypernym Discovery. In The 12th International Workshop on Semantic Evaluation (SemEval-2018), juin 2018, New Orleans, états-Unis. C. Niel, C. Sinoquet. Enhanced ensemble approach to learn Markov blankets for feature subset selection in high-dimensional settings. Illustration with an application to mine genetic data.. In Cap2018 (French Conference on Machine Learning), juin 2018, Rouen, France. W. Siblini, P. Kuntz, F. Meyer. CRAFTML, an Efficient Clustering-based Random Forest for Extreme Multi-label Learning. In The 35th International Conference on Machine Learning. (ICML 2018), juillet 2018, Stockholm, Suède. J. Pan, H. Le Capitaine, P. Leray. Relational Constraints for Metric Learning on Relational Data. In Eighth International Workshop on Statistical Relational AI, IJCAI, juillet 2018, Stockholm, Suède. C. Sinoquet, C. Niel. Ant colony optimization for Markov blanket-based feature selection. Application for precision medicine. In 4th International Conference on Machine Learning, Optimization, and Data Science, LOD2018, septembre 2018, Volterra, Tuscany, Italie. L. Julien, C. Marinica, Z. Després, C. Plancq. The flow of ideologies between a political figure and a militant community: a CMC corpora analysis. In 6th Conference on Computer-Mediated Communication (CMC) and Social Media Corpora, septembre 2018, Anvers, Belgique. A. Issa, M. Harzallah, G. Berio, N. Béchet, A. Faour. Redefining Hearst Patterns by using Dependency Relations. In 10th International Conference on Knowledge Engineering and Ontology Development, septembre 2018, Seville, France. Z. XU, M. Harzallah, F. Guillet. Comparing of Term Clustering Frameworks for Modular Ontology Learning. In 10th International Joint Conference on Knowledge Discovery, Knowledge Engineering and Knowledge Management, septembre 2018, Seville, Espagne. A. Fonnet, T. Vigier, G. Cliquet, F. Picarougne, Y. Prié. Axes and Coordinate Systems Representations for Immersive Analytics of Multi-Dimensional Data. In 4th International Symposium on Big Data Visual and Immersive Analytics, octobre 2018, Konstanz, Allemagne. C. Jacquot, M. Jahjah. Glyphes et hyperliens comme signes agentifs : fabrique de l’interactivité dans Poreuse. In Interactivité et éthique, octobre 2018, Montpellier, France. V. Raveneau, J. Blanchard, Y. Prié. Progressive sequential pattern mining: steerable visual exploration of patterns with PPMT. In Visualization in Data Science (VDS at IEEE VIS 2018), octobre 2018, Berlin, Allemagne. I. Bannour, C. Marinica, L. Bouiller, R. Pillay, C. Darrieumerlou, O. Malavergne, D. Kotzinos, C. Niang. CRMcr - a CIDOC-CRM extension for supporting semantic interoperability in the conservation and restoration domain. In Digital Heritage 2018, octobre 2018, San Francisco, états-Unis. C. Sinoquet, K. Mekhnacha. Random forest framework customized to handle highly correlated variables: an extensive experimental study applied to feature selection in genetic data.. In IEEE 5th International Conference on Data Science and Advanced Analytics, DSAA2018, octobre 2018, Turin, Italie.In F. Bonchi, F. Provost, T. Eliassi-Rad, W. Wang, C. Cattuto, R. Ghani (eds.) (éds.), . , 2018. C. Sinoquet, K. Mekhnacha. Random forests with latent variables to foster feature selection in the context of highly correlated variables. Illustration with a bioinformatics application.. In 17th International Symposium on Intelligent Data Analysis, IDA2018, octobre 2018, 's-Hertogenbosch, Pays-Bas.In W. Duivesteijn, A. Siebes, A. Ukkonen (eds.) (éds.), . Springer, 2018. C. Marinica, J. Longhi, N. Hassine, A. Alkhouli, B. Borzic. #Idéo2017 : une plateforme citoyenne dédiée à l'analyse des tweets lors des événements politiques. In Extraction et Gestion des Connaissances (EGC), janvier 2018, Paris, France. C. Niel, C. Sinoquet. Optimisation par colonie de fourmis pour la sélection de variables par construction stochastique de couverture de Markov - Application pour la médecine de précision.. In 19th edition of the annual congress of the French Society for Operation Research and Decision Assistance, ROADEF2018, février 2018, Lorient, France. B. Pinaud, F. Guillet, B. Crémilleux, C. De Runz. Advances in Knowledge Discovery and Management, Vol. 7. 2018 France. M. El Abri. Probabilistic relational models learning from graph databases. 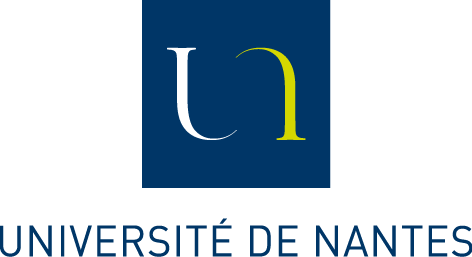 Thèses : Université de Nantes. R. Rincé. Behaviour Recognition on Noisy Data-streams Constrained by Complex Prior Knowledge. Thèses : Université de nantes. W. Siblini. Apprentissage multi-label extrême : Comparaisons d'approches et nouvelles propositions. Thèses : Université de Nantes, Ecole Polytechnique. A. Villière, F. Guillet, S. Le Roy, C. Fillonneau, C. Prost. WheelOscent: presentation of an innovative olfactometry-dedicated software using intuitive aroma wheel interface. A. Villière, F. Guillet. Collecte et fouille de données olfactives, ou la complexité des données expérimentales. A. Villière, F. Guillet, C. Prost. Olfactometric process: new insights in automated acquisition and data treatment. In 32nd EFFoST International Conference - Developing innovative food structures and functionalities through process and reformulation to satisfy consumer needs and expectations, novembre 2018, Nantes, France.